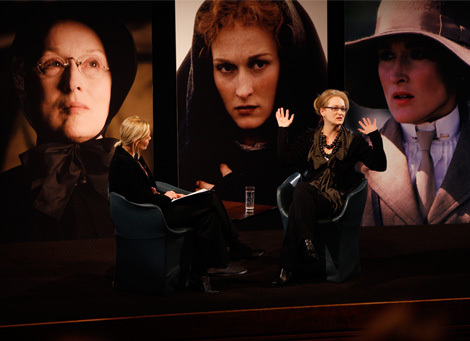 Images from the award-winning actress Meryl Streep talking to BAFTA about her life in pictures so far. Meryl Streep arrives at BAFTA Headquarters in London for a Life in Pictures event exploring her unique contribution to film (BAFTA / Marc Hoberman). 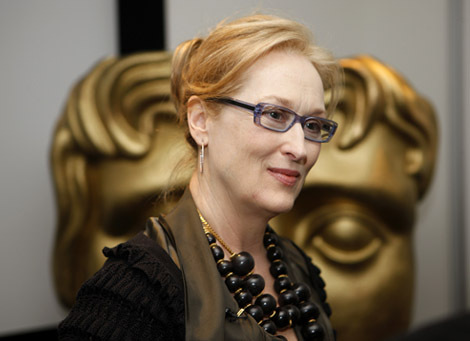 Meryl has been nominated for a BAFTA twelve times including a Leading Actress nomination in 2009 for Doubt. Her only win came in 1982 for The French Lieutenant's Woman (BAFTA / Marc Hoberman). A packed audience of film fans and BAFTA members welcome Meryl to the stage in the Princess Anne Theatre at BAFTA Headquarters (BAFTA / Marc Hoberman). 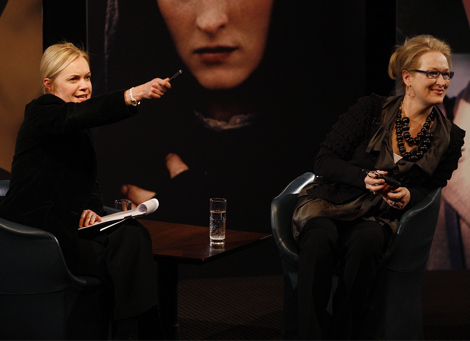 Presenter Mariella Frostrup talks to Meryl about her career highlights (BAFTA / Marc Hoberman). 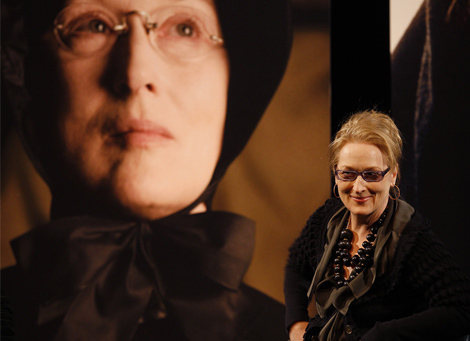 Meryl reflects on her twelfth BAFTA nomination for her role as Sister Aloysius Beauvier in John Patrick Shanley's film Doubt (BAFTA / Marc Hoberman). The actress recalls how she starting out in the film industry and getting her big break in the Julia in 1977 and The Deer Hunter in 1978 (BAFTA / Marc Hoberman). Meryl was full of fun as she reminisced about her astonishing film career spanning over thirty years (BAFTA / Marc Hoberman). Mariella takes questions from the audience (BAFTA / Marc Hoberman). 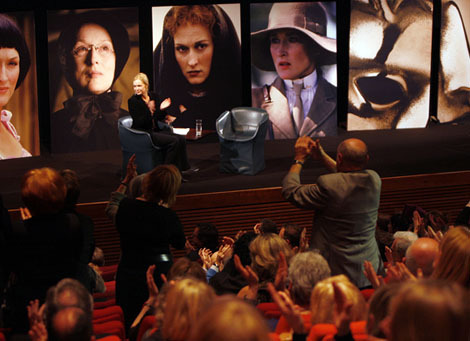 Meryl and the audience watch clips of her iconic film performances (BAFTA / Marc Hoberman). The multi-award-winning actress talks about her singing and dancing role as Donna Sheridan in Mamma Mia! (BAFTA / Marc Hoberman). The multi award winning actress received a standing ovation from film fans and BAFTA members (BAFTA / Marc Hoberman). On January 14, 2012 BAFTA Los Angeles hosted the Awards Season Tea Party to celebrate and wish the best of luck to all nominees for the awards season ahead. 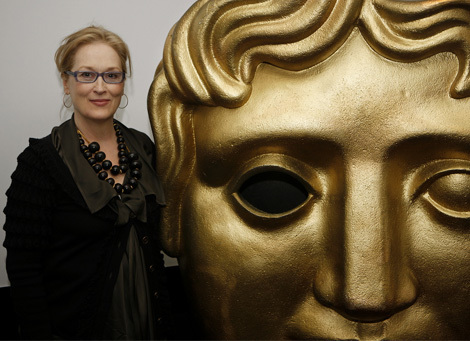 On November 21, 2011, BAFTA New York welcomed Meryl Streep to our screening of THE IRON LADY.